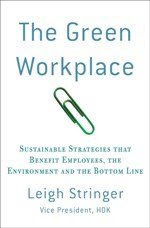 The Green Workplace: LOS No More? Many communities and projects measure the effectiveness of automobile transportation using a grading system known as Level of Service (LOS). LOS essentially assigns grades for roads and intersections from A to F (A is the best) based on issues such as speed, ability to change lanes, delays at lights, etc. Yes, this is an overly simplified explanation, but traffic engineer I am not. Anyway, LOS is a pretty standard way of determining how well automobile transportation is working in an area. The San Francisco County Transportation Authority recently released a report suggesting that LOS criteria should be with a new measure: “Automobile Trips Generated” (Draft Final Report on the Automobile Trip Generation (ATG) ImpactMeasure and on the Proposed ATG Transportation Impact Mitigation Fee Nexus Study). While a good traffic engineer is always thinking about transit and the environment, this recommendation could be a good way to ensure every engineer is on board. Read a post on Cool Connections about this proposal.